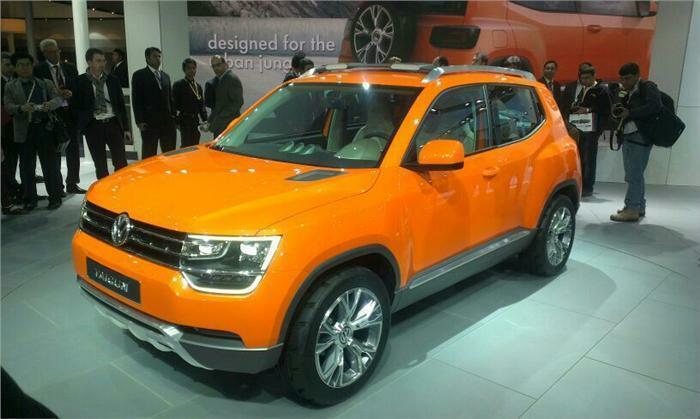 German auto major, Volkswagen has now called-off the development of its Taigun compact SUV. There were rumours and also statements from Volkswagen that the production compact SUV is fully set to make its debut sometime this year (2016) and the car was also expected to be based on the same platform as the manufacturer’s Up hatchback. A report from German publication revealed that the company is going to scrap the idea of bringing the compact SUV to India as it felt that the Taigun model was pretty small. There could also be another reason for this decision, it could be because of the shaky financial climate in South-American markets, which is where Volkswagen was planning to produce the model. The compact SUV Volkswagen Taigun made its debut at the Sao Paolo Motor Show in 2012 before being showcased in India at Auto Expo 2014. The all Taigun compact SUV was expected to be the entry-level model in the company’s SUV line-up, with India to get the model following its international launch in South American markets. However, Volkswagen has now started the development on a new entry-level compact SUV, which is based on Polo. The entry-level compact SUV is set to be previewed by the T-Cross concept at the Geneva Motor Show 2016, this model is also expected to be the sister car to the larger Golf-based T-Rock which was unveiled by the company in the year 2014.